Dr. Russell Moore, President of the Ethics and Religious Liberty Commission of the Southeastern Baptist Convention, and the author of Christianity Today’s 2019 Book of the Year, The Storm-Tossed Family: How the Cross Reshapes the Home. Dr. Moore offers a practical, realistic perspective for nurturing and maintaining a healthy biblical family life that reflects the life, death, and resurrection of Jesus Christ. 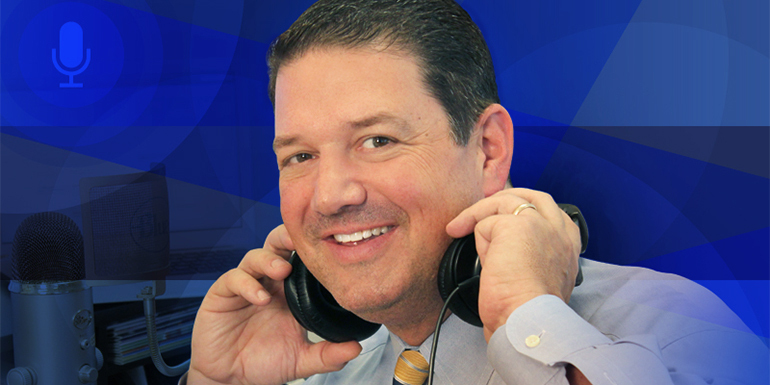 JOHN RUSTIN: Thank you for joining us for Family Policy Matters today. We’re excited to have a special guest with us who is the author of Christianity Today‘s 2019 Book of the Year, Dr. Russell Moore. Dr. Moore is president of the Ethics and Religious Liberty Commission of the Southern Baptist Convention. He is a frequent cultural commentator and the Wall Street Journal has referred to him as “vigorous, cheerful, and fiercely articulate.” He is an ordained Southern Baptist minister, a theologian by background, a native Mississippian, a husband, and a father of five boys. His newest book, The Storm Tossed Family: How the Cross Reshapes the Home, looks at the powerful force that family is in our culture, both for good and for ill in some cases. This book covers a gamut of topics from marriage and parenting to spiritual warfare, to trauma, generational sin and healing, as well as aging. Dr. Moore offers a practical, realistic perspective for nurturing and maintaining a healthy biblical family life that reflects the life, death, and resurrection of our Lord Jesus Christ. The Storm Tossed Family is actually Dr. Moore’s second book to be awarded Book of the Year by Christianity Today, and we’re excited to be speaking with Dr. Moore about this new book today on Family Policy Matters. Dr. Moore, welcome to the radio show. It’s great to have you as a guest. RUSSELL MOORE: Well, great to be with you. Thanks for having me. JOHN RUSTIN: Well, our pleasure. Now Dr. Moore, in the introduction of your book, you say that family can be, and I quote, “the source of life-giving blessings but also of excruciating terror, often all at the same time.” As we begin our discussion today, talk a little bit about how family shapes us and makes us into who we are. RUSSELL MOORE: Anybody who doesn’t feel both the blessing and the terror in family just doesn’t know what’s going on at the moment, because the longer that you exist, whether you’re dealing with parents or with children or with a spouse, or in whatever sort of family relationship, ultimately we come to see how little control we actually have. And so any sort of relationship brings with it a great deal of vulnerability, which means that even the best of families brings with it the possibility of real hurt. It’s one of those situations where actually the more that you are blessed with love, the more vulnerable to hurt you become, in many ways. And so the blessing and the risk tend to go together. JOHN RUSTIN: Dr. Moore, what is it about family life that has such a profound impact on our relationship to the Church, and more importantly, on our relationship with God? RUSSELL MOORE: If we think about the way that the New Testament speaks about the Church, it speaks about it as a family, as a household. And I think sometimes we in our contemporary western mindset tend to think of that as simply just a mere metaphor, at a very superficial level. What the Scripture teaches us is much deeper than that. We really have been brought into a genuine family through the Spirit, and we relate to God as Father. And so the Scripture tells us that all of these different family sorts of relationships that we may have—as child to parents, as parents to children, as husband to wife and wife to husband, all of those sorts of relationships—all point beyond themselves to something else, to the nature of God, to the reality of the Gospel, to all of those things. That’s why they matter so much, because they’re not just products of accidental evolution. They’re a signpost to the most important things in the universe. So they’re going to be places that are going to be contested. JOHN RUSTIN: So would you say that there is pretty much a direct link between the way that we view the family, and the way that we view our relationship with God? Especially when we consider, as the Scripture says, those who believe in Jesus Christ are actually referred to as the children of God. 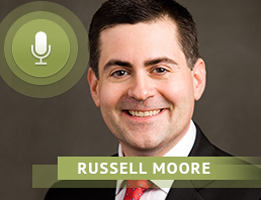 RUSSELL MOORE: Yes and no. I would say yes, in the sense that we tend to learn patterns about how to relate to a father, for instance, that then can point us toward God. In the same way that sometimes people who are parents, they see the sort of protective and affection and love they have for their children, and they get just a little sense of what the Fatherly nature of God is about. But I say yes and no because I would want to say no in the sense that sometimes people will think that if they’ve had a bad relationship with—maybe they had an absent father or a bad father, or maybe even a horrifically abusive—father, that means they can’t understand the Fatherhood of God. And that’s just not the case because, the people who know that, are then able to differentiate between how God is Father in a completely different way than what they have experienced in terms of earthly fathers. And that translates out into even just the way that one lives in one’s own family. I’ve known people who have come out of really dysfunctional family backgrounds who are really worried because they say: I didn’t have good role models and so I’m afraid of going in and wrecking my future children’s lives by repeating the errors of my parents. But the people who would say that are the very ones who don’t repeat those errors, because they’re aware of it. The danger is when you just sort of pick up an understanding of what’s normal from a family background and you don’t see where it leads. Those are the people who are really in jeopardy. And what they need is a different model of fathering from the Fatherhood of God, and a different model of spiritual fathering and mothering, and being brothers and sisters to one another within the church. JOHN RUSTIN: Dr. Moore, what are the primary challenges you see that most families face in today’s culture? As we talk about that, are there some kinds of unexpected but common challenges that you’ve identified that might not be so obvious to our listeners? RUSSELL MOORE: The main issue that we have is this sense of idealizing family in a way that makes family an extension of oneself. You can see that in parents who sometimes see themselves in terms of their children’s academic accomplishment or their athletic accomplishment or later on, their vocational accomplishment, whatever that is. And they’re ultimately disappointed, because no child can bear the burden of meeting all of those expectations. And conversely, some people see a spouse—either a real spouse or future spouse or an imaginary spouse—as being sort of a soul mate that meets all of my needs. That person’s going to be disappointed too, and then just start looking for a different person to fill that void. But that’s not what a family is created for. Family is an arena for me to learn to die to self and to learn to pour myself out for others. But that’s just a very, very different way of seeing family from the way the world around us does. JOHN RUSTIN: So what would you say to those of us who feel that we just don’t measure up as parents, as spouses, as siblings, or even friends? I know you’ve addressed this a little bit already, but I’m curious to dig into that a little bit more. RUSSELL MOORE: Well, I would say you don’t measure up. Haha. That’s right! And the sooner that we all see that, the better off we will be. I had a friend who said to me, several years ago, he said: I knew that parenting would be humbling, but I didn’t know that it would be humiliating. And I knew exactly what he was talking about because I hadn’t been able to put it in those words, but I know the feeling. But then the more I thought about it, the more I realized, really, ultimately, every sort of family relationship is humiliating in the sense that it brings us to this sense of realizing that whatever our perfect image of ourselves and our competency and all of that is, it has a severe limit when it comes to our lives within our families. And so the people who are actually able to thrive as families are the people who recognize that and just say: I don’t measure up and so I’m going to abandon this idealized understanding of my family as meeting all of my needs and I’m going to learn how to actually love this family that’s in front of me right now—not the imaginary family that’s out there, but this family, right here. And so you learn how to forgive one another. You learn how to repent. You learn how to ask for help when you need help. And that’s, you know, that’s a real challenge for many of us, I include myself in that. When you get to something that’s going on in a family situation where you say: I don’t know what to do about this, a lot of us are very reluctant to say to someone: I just don’t know how to handle the situation. And once we get beyond that, that’s when we’re really able to move toward thriving as families. JOHN RUSTIN: Dr. Moore, The Storm Tossed Family, your new book, has a lot of deeply spiritual reflections in it. One of those is that so often we as Christians have a tendency to focus on the glory of the resurrection, and of course with good reason, but sometimes we may also have a tendency to kind of gloss over or ignore the struggles and the pain that Jesus endured on the cross. So, what are some of the important lessons that we can learn from the cross that can help us to live better in family? RUSSELL MOORE: Again, when we think about the language that Jesus gives to “take up your cross and follow me,” we tend to sort of turn that into a really familiar metaphor that we don’t really contemplate what Jesus means. It means that we are going to walk the path that he walked before us. We’re going to go through that. And one significant arena for that is our lives, in terms of families. And if you think about what’s happening on the cross: The cross is itself a family crisis, because when Jesus is crying out, “My God, my God, why have you forsaken me?” Well those are lyrics from a song, from Psalm 22, that is talking about what it means to learn to trust God as a little child. And so He’s reflecting upon the way that, in His humanity, He has come from childhood until now. And what does He do? While being crucified, He hands His mother’s care over to His spiritual brother, John, and commissions John to take care of her. So He’s caring for His family even at the darkest moment, not only of His life, but the darkest moment of human history. JOHN RUSTIN: So I know in your book you say, there is no such thing as a “single” Christian. As we conclude our conversation, I know there may be quite a few listeners out there who are single or unmarried. They may be struggling with that a little bit, personally. Talk about that statement that you make in your book that there is no such thing as a single Christian. RUSSELL MOORE: In our culture right now, there’s the idea that if you’re not coupled, then you’re alone. And there are many Christians who are alone, but it shouldn’t be the case, because when we come to Christ, we come into a big bustling family. And so, we ought to relate to one another as families. And so that applies not only to the way that married people ought to relate to their single brothers and sisters in Christ. But also in terms of sometimes Christians who are not married, who don’t have children, think that somehow the mothering and fathering passages of Scripture don’t apply it to them, but they do. While not everybody’s going to have children biologically or through adoption, everybody has a mothering or fathering vocation to carry out within the life of the church in cultivating the next generation. And so we need to see that, and I think to honor that more within the church. JOHN RUSTIN: Dr. Moore, we’re just about out of time for the show this week, but before we go, I do want to give you an opportunity to let our listeners know where they can get a copy of your excellent new book, The Storm Tossed Family: How the Cross Reshapes the Home. RUSSELL MOORE: They can get it wherever they typically buy books, in their neighborhood bookstore or Amazon, or wherever they liked to buy them. JOHN RUSTIN: Excellent. And again, the name of that book is, The Storm Tossed Family: How the Cross Reshapes the Home, by Dr. Russell Moore. And Dr. Moore, I want to thank you so much for being with us on Family Policy Matters today, and for the great insights that you provide in this new book. RUSSELL MOORE: Thanks so much. Thanks for having me. It’s an honor to be with you.